Herschel Walker has a grand idea for the Cowboys, but it doesn't make much sense for the Redskins. 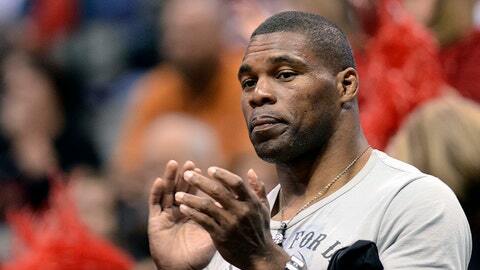 Former Dallas Cowboys running back Herschel Walker doesn't quite understand the dynamics of a division rivalry. Walker believes in Washington Redskins quarterback Robert Griffin III, and he thinks that he has found the perfect fit for him — with the Cowboys. Walker's trade advice is rooted in what's in RG3's best interest, but not necessarily what is best for the Redskins' franchise. The Cowboys have struggled to find a solution at quarterback with Tony Romo out, and trading them RG3 would be a low-upside move that carries a lot of risk. Walker is also a Kirk Cousins supporter — the veteran quarterback won him over during his Week 7 31-30 comeback win over the Tampa Bay Buccaneers. I would expect “Mr. Snyder” to mind, and it seems highly unlikely that Walker will get his way with the trade deadline approaching on November 3rd.